Americans have been misinformed to believe that “isolated-nutrient” supplements, along with dietary changes, cardio exercise, and psychological interventions are the keys to weight loss. These “keys” simply divert attention away from the true causes of unhealthy weight gain and obesity. Some journalists claim that health-related misinformation is widespread because the health care industry, which disseminates much of the country’s health data, has huge financial interests in promoting information that increases the worldwide rate of obesity and chronic illness. In 2002, The Lancet claimed that conflicting interests between drug companies and health care providers had “heavily, and damagingly” influenced the practice of medicine. Editors of the publication predicted the medical profession would be crippled due to widespread fraud. Similarly, a 2010 article by Leonard G. Horowitz and Sherri Kane in Medical Veritas: The Journal of Truth in Health Science, reveals how pharmaceutical propaganda has influenced science and medicine in a manner that harms Americans. The above authors suggest that pharmaceutical propaganda may be why most people incorrectly believe cholesterol and saturated fat are the main causes heart disease, which the American Heart Association is more prevalent among obese individuals. This is true even though as early as 1990, A New York Times article reported that sticky blood causes hardening of the arteries and is the main cause of 80 percent of heart attacks. According to Dr. Bruce Eichelberger, a high-sugar diet leads to sticky blood. Regarding cholesterol’s effects on health, Dr. Joseph Mercola wrote in an August 2010 online article that cholesterol does not cause heart disease and that new cholesterol guidelines were developed by nine doctors and eight of them had financial ties to companies selling cholesterol-lowering drugs. This may be why weight loss programs have consistently led to higher obesity and chronic disease rates. In fact, a new report by the Organization for Economic Cooperation and Development predicts that 75% of Americans will be overweight by 2020. Is it possible that organizations such as Weight Watchers embrace health-related misinformation because weight loss failure increases profits for the annual, multi-billion-dollar weight loss industry. According to Dr. Jon Robison, a leader in the Health At Every Size movement, the government has repeatedly asked Weight Watchers for data on the long-term efficacy of its programs, but the company refuses to provide it. Financial considerations may also be why so many weight loss programs are based on myths and omissions. For example, weight loss experts routinely claim that “emotional eating” causes weight gain. Though emotions can cause biochemical changes as even mainstream medicine acknowledges that the body cannot be separated from the mind. However, emotions don’t cause people to eat weight-promoting food they find distasteful. Comfort food can be a fresh salad with raw tuna just as it can be donuts and ice cream. Cravings for “chemical food” is the result of regularly exposing one’s taste buds to white sugar, which is a chemical. Its formula is C12H22O11. Thus, chemically-induced distortions of taste buds – caused by refined sugars/processed foods – cause cravings for junk food, not emotions. It’s true that humans are programmed to crave sugar, but scientific studies show that this preference for sugar wears off after about a year. Unlike infants, toddlers don’t depend on sweet-tasting breast milk. For them, the taste for sugar is learned. 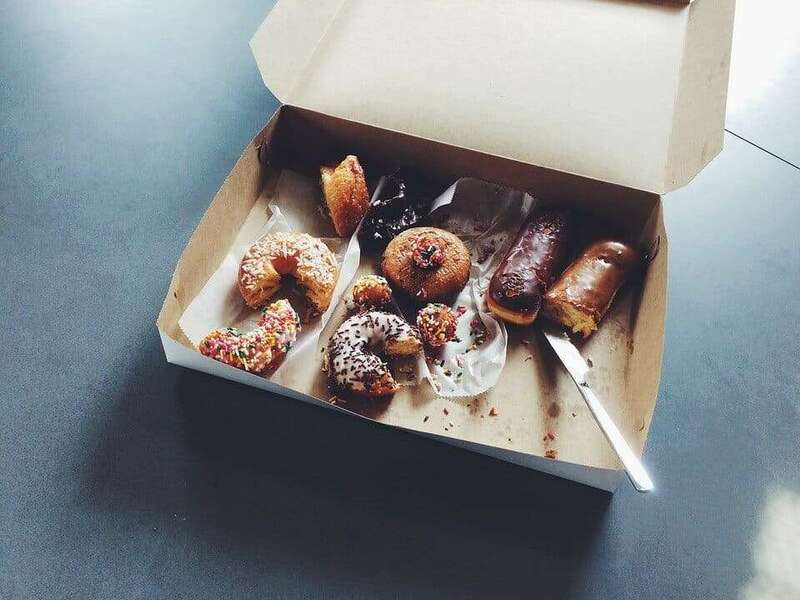 Thus, adults create life-long, unnatural preferences for sugar when they give their toddlers cookies, candy, donuts, and other high-sugar foods. Unfortunately, few people are able to remove sweets from their diets because they are addicted to chemical formula C12H22O11, in a similar manner as people become addicted to chemical formula C17H21NO4 (i.e. cocaine). In December 2008, ScienceDaily.com published findings of a team of Princeton scientists whose research showed that when rats eat a lot of sugar, they experience “neuro-chemical changes in the brain that appear to mimic those produced by substances of abuse, including cocaine, morphine and nicotine.” The scientists found that taking away the rats’ sugar supply induced withdrawal symptoms such as anxiety and teeth chattering. Fortunately, taste buds can be normalized as a side effect of using 100% Natural products such as Calcium Bentonite Clay. According to Gary Taubes, a nutrition journalist and author of Good Calories, Bad Calories, refined sugar may be the most important cause of obesity and all chronic illnesses. Unfortunately, a 2007 Time.com article suggests that humans also experience highly unpleasant withdrawal symptoms when they no longer have access to sugar. Called “Can a High-Fat Diet Beat Cancer,” the Time.com article described a cancer study involving late-stage cancer patients who had exhausted all conventional treatments (e.g. chemotherapy, radiation, etc.). Apparently, some people would rather die than to give up sweets. Scientific studies show that sugar-oriented taste buds are some of the earliest to develop on the tongue, probably because it helps infants to seek sweet breast milk. However, this natural preference wears off after about a year. After that, the taste for sugar is learned. Thus, adults create unnatural sugar addiction in toddlers by giving them cookies, candy, donuts, and other high-sugar foods. It’s important to know that what constitutes a healthy body size is based on America’s cultural norms and slimness is incorrectly equated with health. Unfortunately, many Americans who need to lose “unhealthy” excess body fat enroll in weight loss programs that lead to long-term weight gain. That’s because these programs are based on numerous myths and omissions as described below. Myth #1: Unresolved emotional issues cause consumption of sugary, processed foods. Myth #2: Aerobic exercise leads to weight loss. Myth #3: A high-calorie diet causes weight gain. Myth #4: Saturated fat causes weight gain and heart disease. Myth #5: Low-fat foods promote weight loss. Myth #6: Fruits and vegetables promote weight loss and prevent cancer. Myth #7: One large, daily, evening meal is unhealthy and reduces metabolism. Omission #1: No effective, natural/nontoxic solution for hormonal dysfunctions. Omission #2: No effective, natural/nontoxic solution for sugar-induced depletion of minerals. Omission #3: No effective, natural/nontoxic solution for daily, gentle detoxification of the body. Omission #4: No simple, effective way to end cravings for refined sugar. Omission #5: No simple, effective way to release guilt feelings associated with eating junk food. Omission #6: No convenient, easy way to develop a positive mental attitude. As truthful information about the causes of obesity proliferate on the Internet, it’s only a matter of time before millions of people will be able to 1) achieve permanent weight loss and 2) prevent obesity-related diseases.